Home / Games / Happy Glass: Draw And Fill It Up! Maybe in any parallel world, things around us have the same feelings and thoughts as humans, and that is simulated in Happy Glass (MOD Unlimited Money) – the latest puzzle game from the publisher Lion Studios. The main character in the game is a glass help us to drink water daily. He was feeling sad because he was completely empty, without a drop of water. 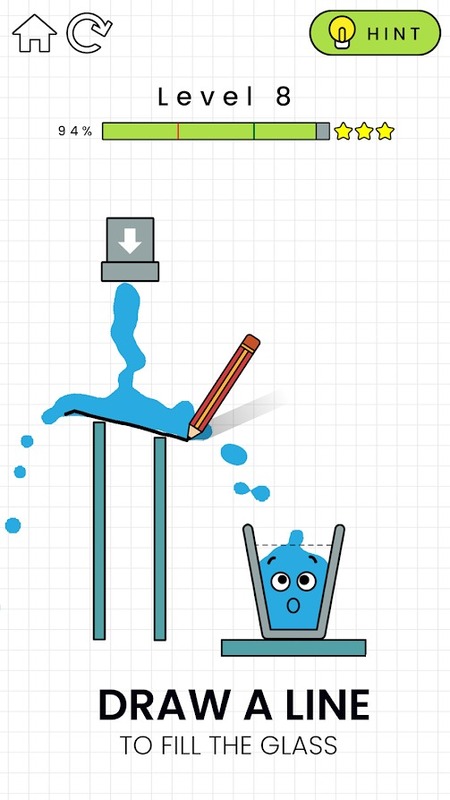 The player’s task is to get the water from the pipe, filled with water to help him smile again. This casual game is quite similar to Love Balls by SuperTapx. When talking about casual games, we often think of two Ketchapp and Voodoo publishers. With a fun gameplay and easy-to-play way to allow players to play anywhere, anytime without the internet connection, it’s no coincidence that Happy Glass is no.1 top trending on Google Play last week. To ensure that the water does not leak out, you need to use your finger and draw a line exactly on the screen. Some levels are relatively straightforward so you can create how to draw in seconds. But when difficulties arise, it is time to use your own imagination and intelligence. The game does not limit the number of plays at each level, so do not be afraid to fail, always try new ways and improve your drawing. In other words, you can play a certain level multiple times until you reach the maximum score corresponding to 3 stars. 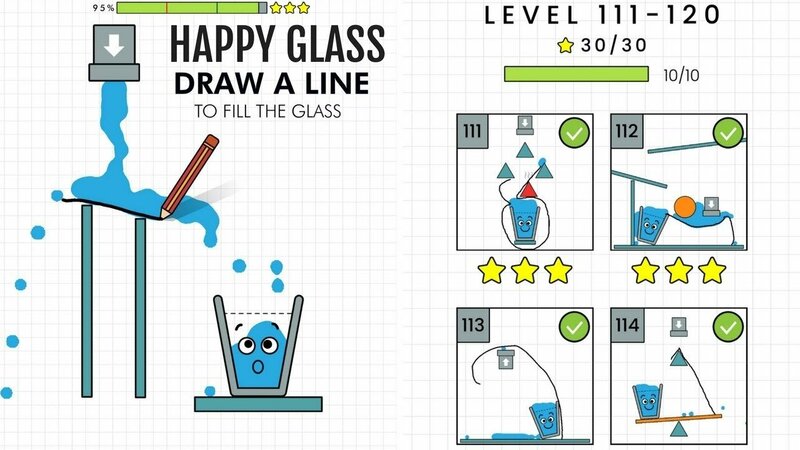 The simple, smart puzzles of Happy Glass will make you easy to spend hours playing. Not simply filling the glass with water, at some levels there are obstacles such as falling stones that break your glass or requiring you to fill two glasses of water at the same time. 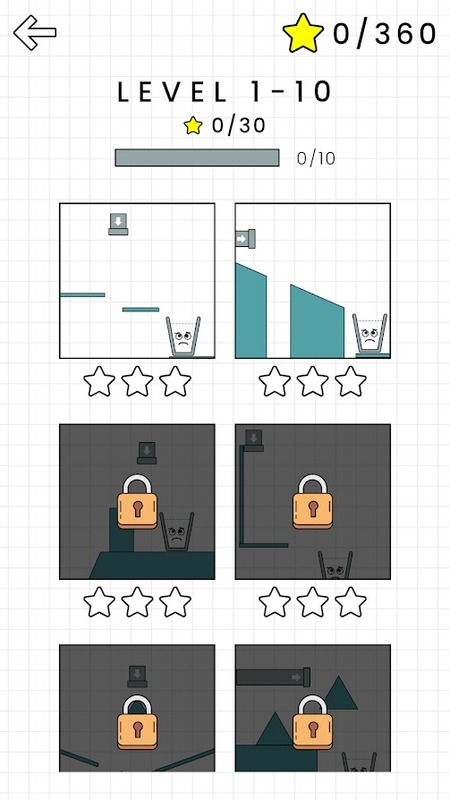 It seems simple but challenging puzzles that require you to pass. This game like Angry Birds or Love Balls – all of them bring satisfaction when you complete the difficult puzzle. As a fun game for all ages, Happy Glass has a way of playing can not be simpler. Use your finger to swipe on the screen to control the pencil forming a water path that flows in the direction you want. Be careful because after you draw, your lines will be counted as a hard object so if you let it fall down the glass it can break the glass. Happy Glass is designed based on simple, lively and funny 2D graphics. The look of the game is like a notebook with horizontal and vertical lines. When you play, you feel like you are in an art class. 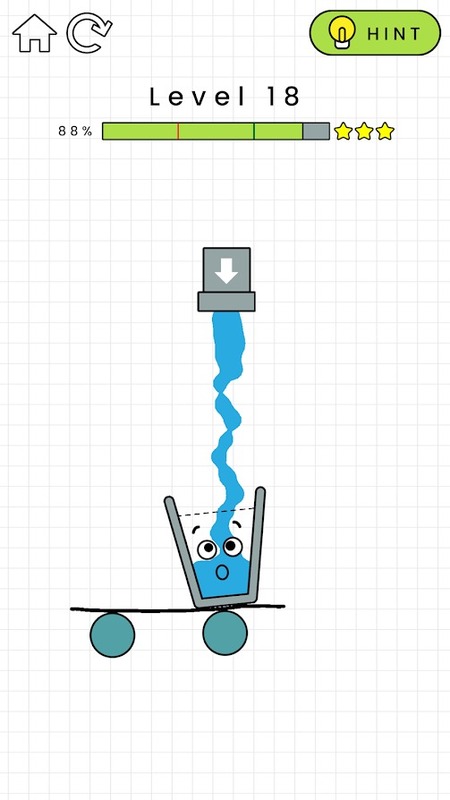 The expressive face of a glass of water is pretty cute. Trust me! After many failures, you will feel a thousand times happier than him when you see his smile. Ads appear after you complete a level and a banner ad is located at the bottom of the screen. If you feel uncomfortable, you can purchase the No Ads package of the game or simply disconnect the internet for your device. Simple, fun and exciting challenges through the puzzles, that’s what I want to talk about Happy Glass. Not only entertainment the game also brings special challenges for your intelligence. In addition, the game is a great choice for you to play with the kids on the weekend. Happy Glass MOD APK is ready to download! Depending on your needs, you can download Happy Glass MOD APK or Happy Glass Original APK. Or install from Google Play / App Store if you want.